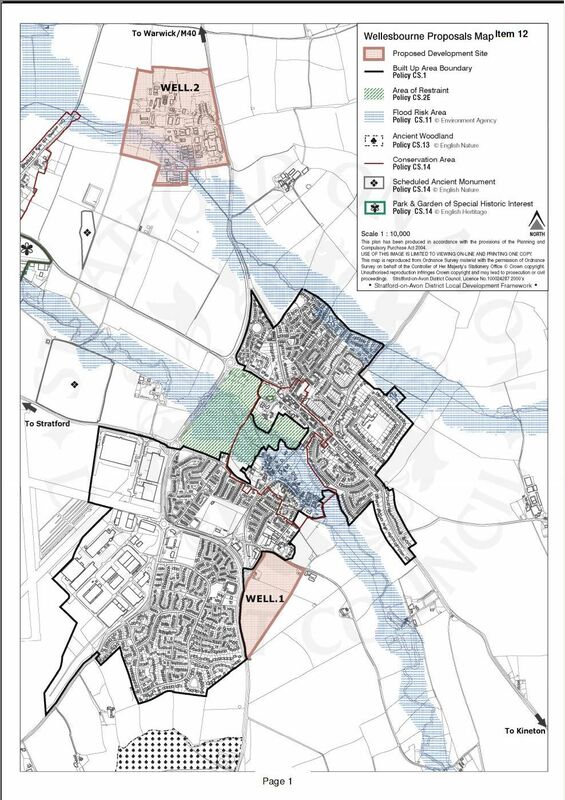 The original Draft Core Strategy for Wellesbourne was agreed between Wellesbourne Parish Council and the SDC that allowed for new housing on the old Wests nursery (Red hill) site and for commercial expansion on the HRI site just out of Wellesbourne. Interested developers and landowners then put their sites and interest forward resulting in 17 possible locations for further development. The SDC have quietly discounted all but two housing development sites, leaving the West nursery site and the additional Kineton Road site. Development of the Kineton Rd site will significantly add to the traffic through the village and cause grave concerns over future flooding of the Chapel St area of Wellesbourne. The Environment Agency are spending their budget on an improvement to the flood alleviation scheme but removal of flood plains with additional drainage into the river Dene will only create greater flooding risk. The new revised Draft Core Strategy was released in February 2010 and the sites of most concern were removed. The revised Draft.Core Strategy document has reverted to the previously agreed allowance for housing on the old Redhill Nursery site and Educational expansion on the old HRI site.